OPEN CANCELLED - UNDER CONTRACT. 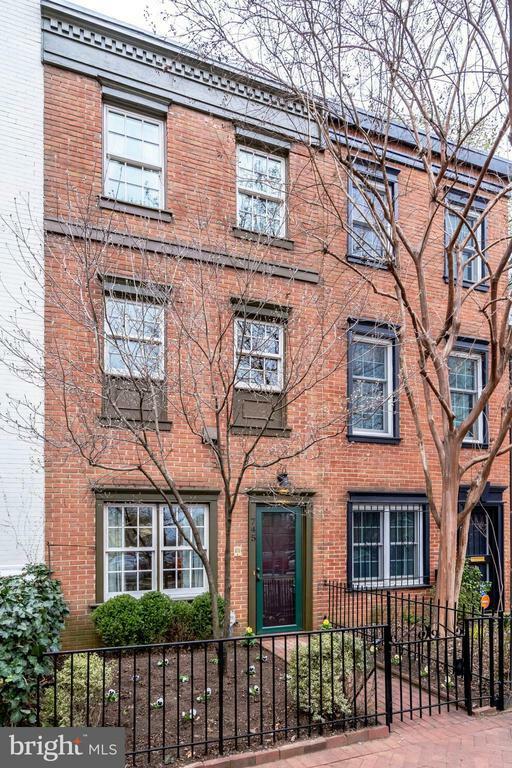 Its so easy to imagine yourself living in this stylishly updated Barracks Row beauty! Enjoy a prime Capitol Hill location convenient to shops & restaurants & metro...and a rare entry-level bedroom (or home office?) and full bathroom. And the spacious family room with fireplace and built-ins with French doors leading to the professionally landscaped rear patio with off-street PARKING! Not to mention the living room with fireplace and a wall of windows overlooking the patio, dining room (hardwood floors) and renovated eat-in kitchen with upscale appliances and powder room on the second level. And, two bedrooms with spacious spa-like bathroom are located on the top floor. And get ready to enjoy balmy summer evenings al fresco with the soothing sound of the water feature (and occasional John Philip Sousa tunes) in the background.